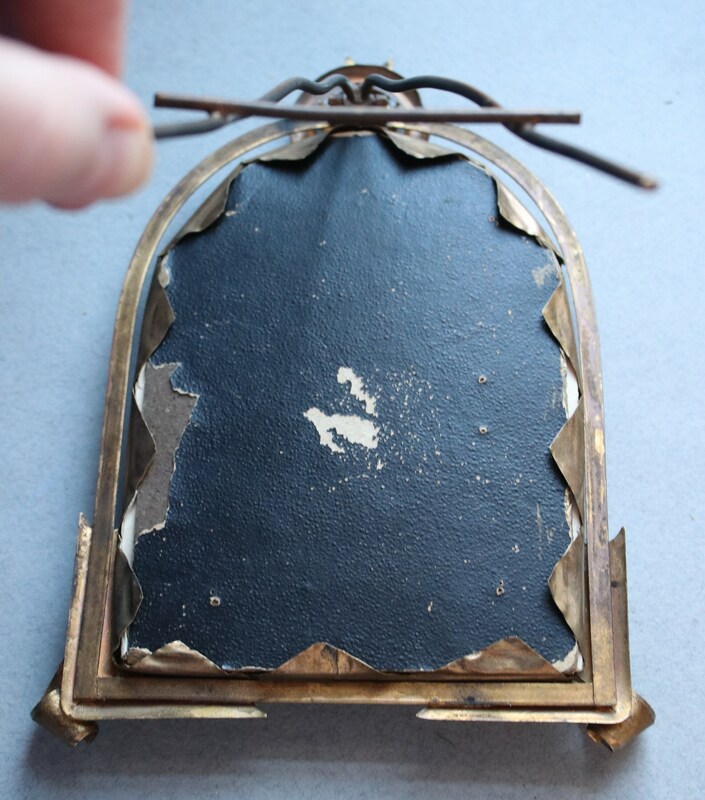 This mid-1800s picture frame with 1850s era carte de visite were purchased together. 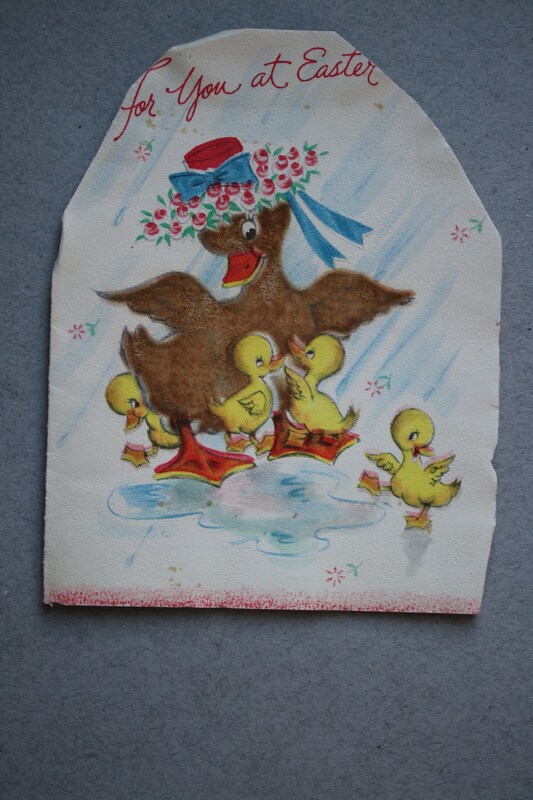 The Hallmark card inserted between the photo and its backing and the backing of the frame is clearly newer. 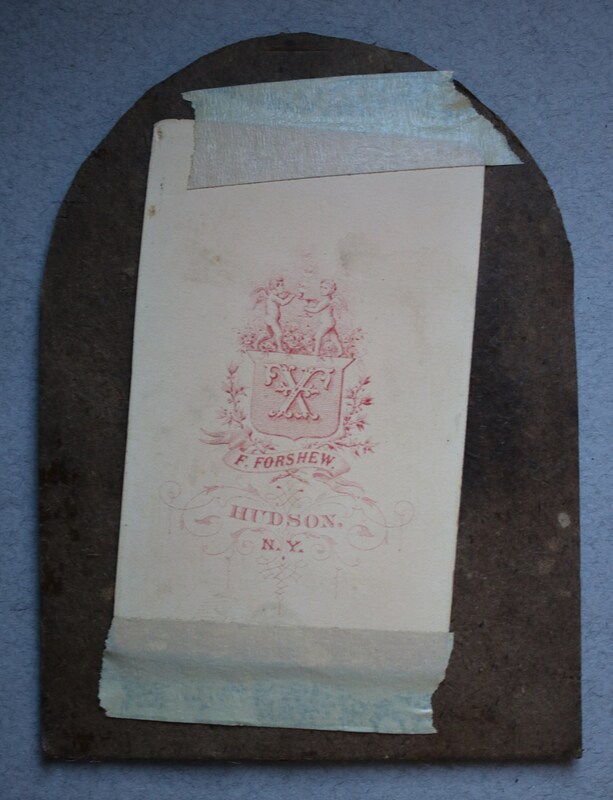 I believe the photo was affixed to its backing at a later date with the tape seen in the sixth photo. 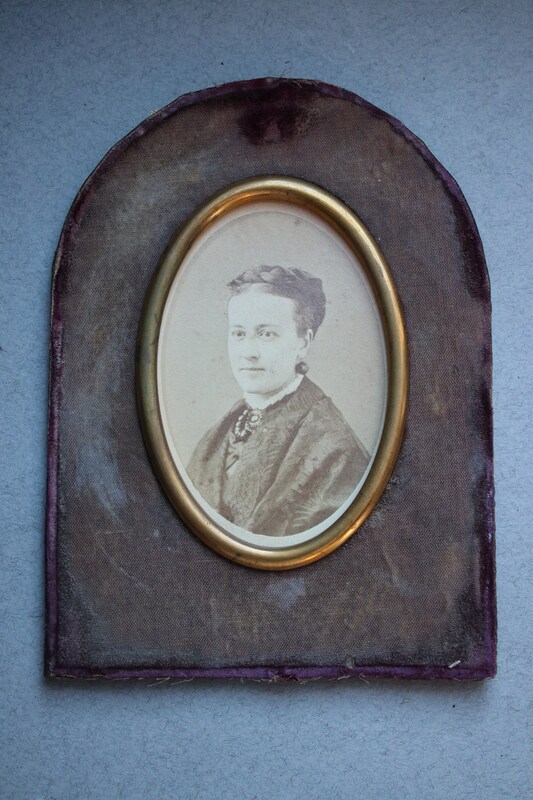 The frame measures 7" x 4.75", with the carte de visite measuring the average 4" x 2.50" for such photographs. 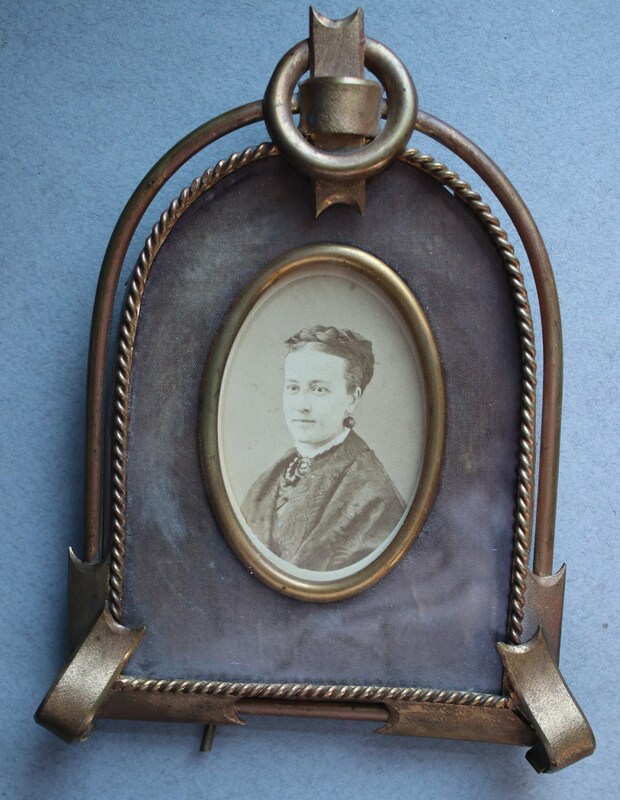 The photographer, Francis Forshew of Hudson, New York, was a well-known, prolific photographer in his time (1827-1895). 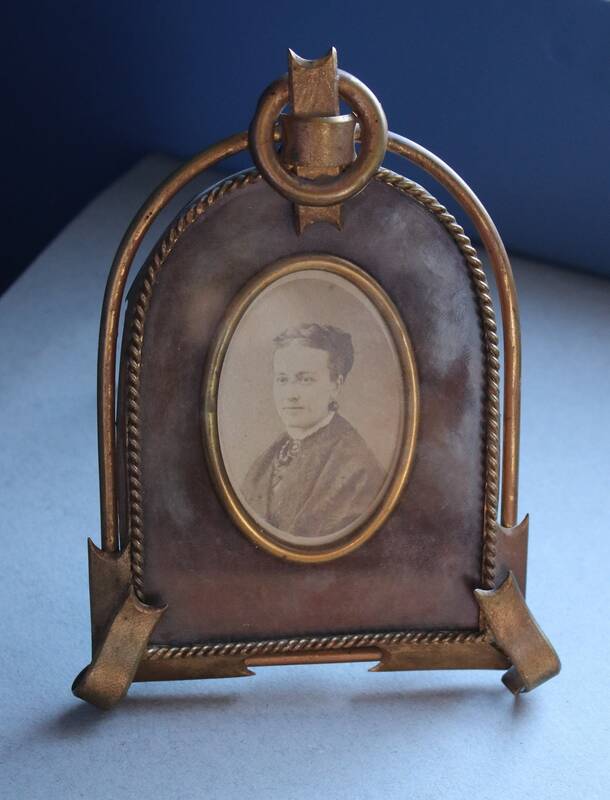 Based on the dates ascribed to Forshew's business addresses on his photographs, I am estimating this photo as being circa 1850 since there is no address, just Forshew. From 1851-1852, he began using his Warren Street address. 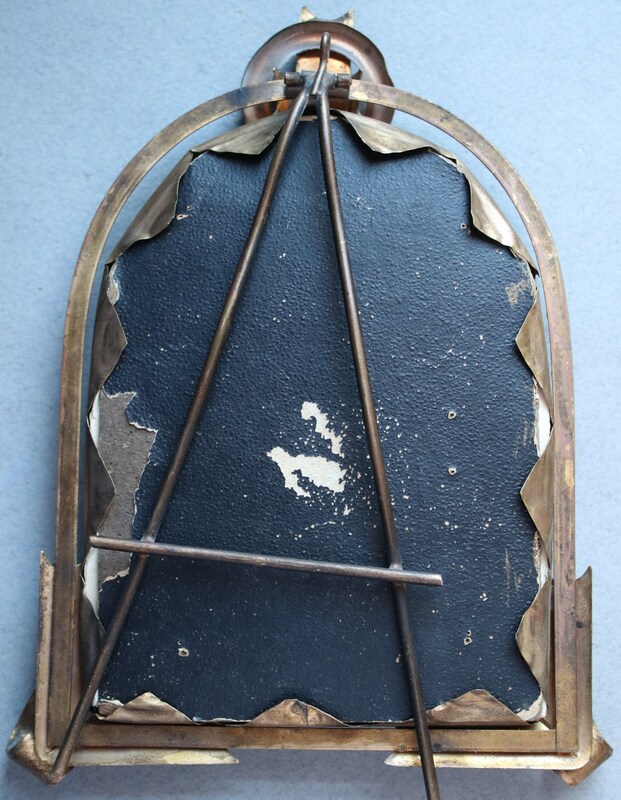 The frame's black backing has condition issues, as seen in the photos. 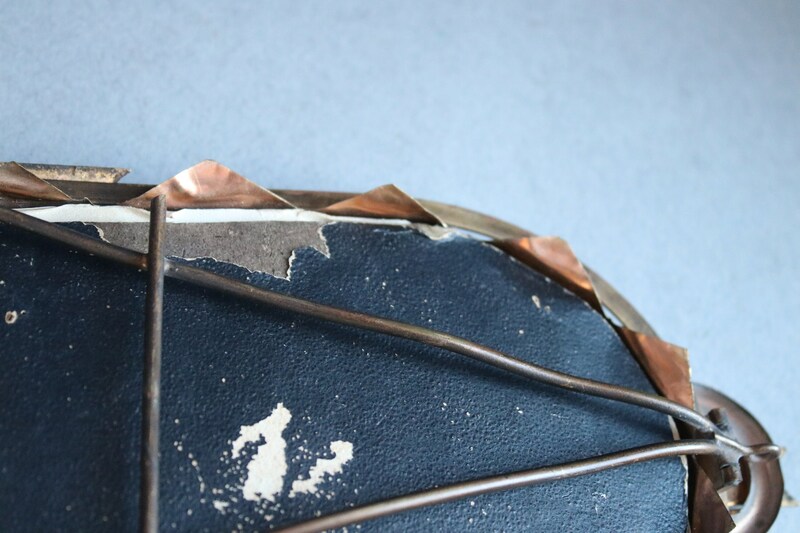 The metal triangles have wear from being bent up and back. 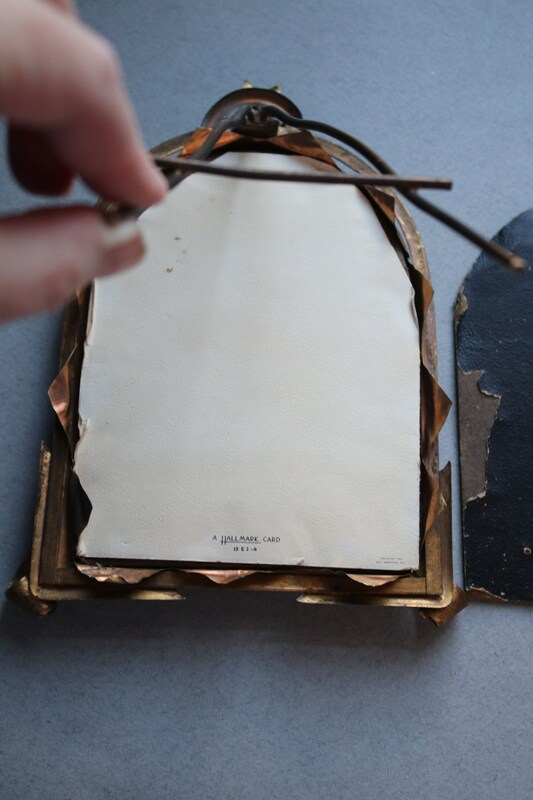 They bend up or back to remove the photo and backing or hold them in place. 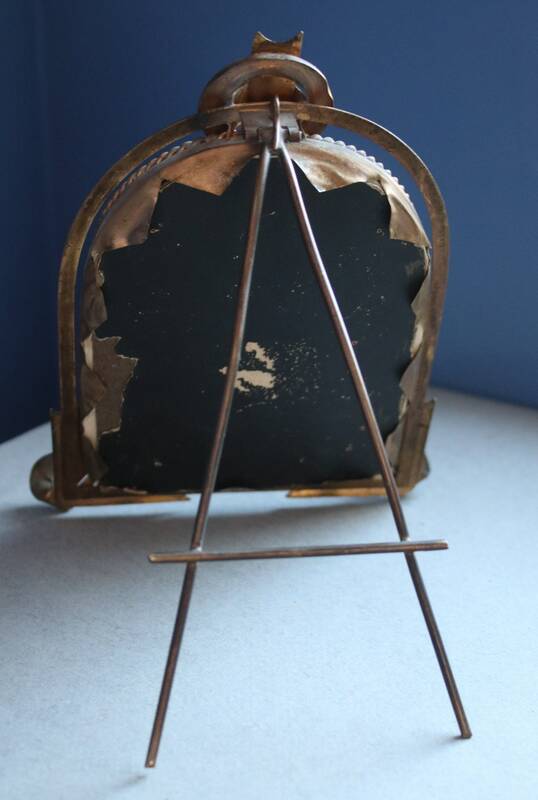 Care must be taken when doing this as repeated bending could cause breakage owing to the frame's age.